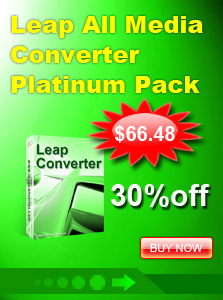 Leap DVD to iPod Ripper is a powerful DVD ripper which helps you rip DVD movie to video format supported by iPod player with fast converting speed and excellent video quality. 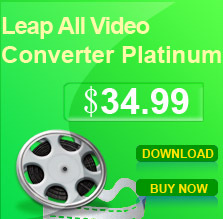 It can rip your DVD to iPod, MPEG-4 video formats in one click. Enjoy movies on the gorgeous LCD-screen wherever and whenever you want! Let the kids watch their favorite cartoons in the car with the iPod player. You can watch your DVD movies on your iPod player.